There’s definitely something in the air in Berlin at the moment. Perhaps it is the fresh air that comes from the enormous parks and lakes that surround the city centre. Perhaps it is the last clouds of incense from the legendary squats as they make way for exclusive apartments. Or perhaps it is the wind of change as one of Europe’s great old cities rediscovers its swagger. Berlin is a great place to be right now and a superb destination for learners of German. It’s also attractive value compared to anywhere else in the German-speaking world. So how far can you make €20 stretch in the city? 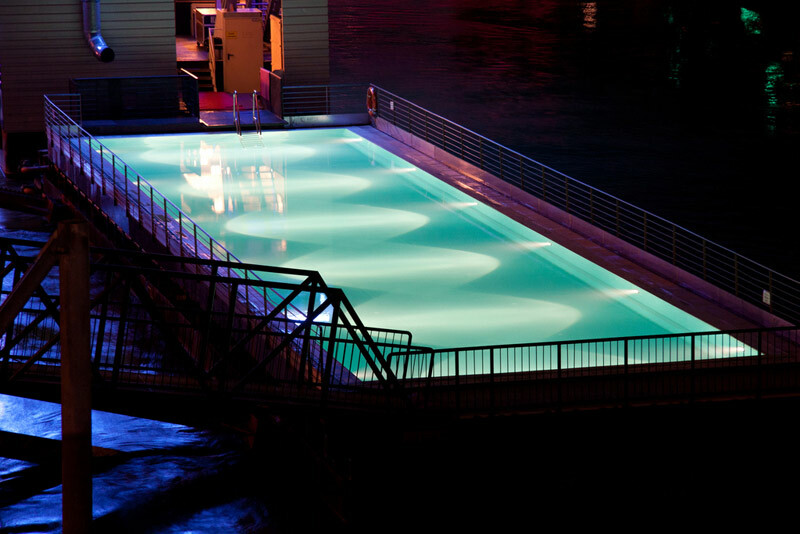 Badeschiff is a bright blue swimming pool made from a converted barge on the River Spree. Entry is €7 and there are concerts in the evening (arena-berlin.de). Accompanied by a riverside beach, a nightclub and a big live music venue, this is the place to be when the sun shines. The flipside to this is that Badeschiff can be very, very busy on a nice day. 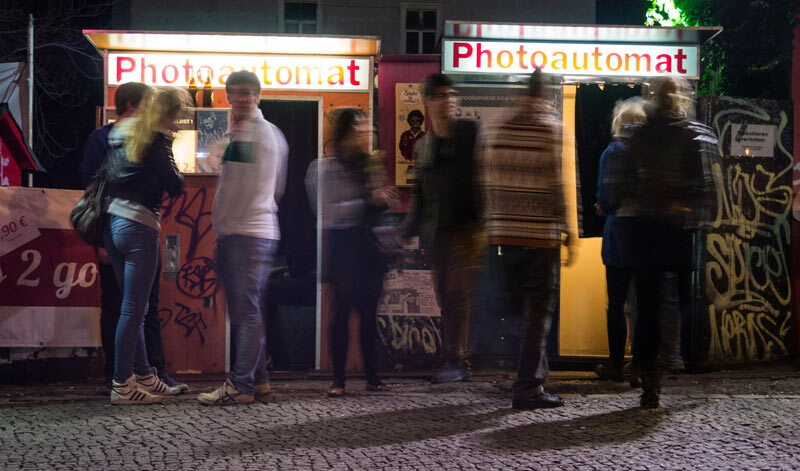 If busy Badeshiff is making you seasick, you can head to any number of other spots along the banks of the Spree, where mini-beaches, beach bars and nightclubs offer a wealth of entertainment late into the night. If the feeling of windowless dank makes you want to dance to the thumping sound of an 808 beat until long after breakfast time, you are really spoilt for choice in Berlin, Europe’s techno capital. 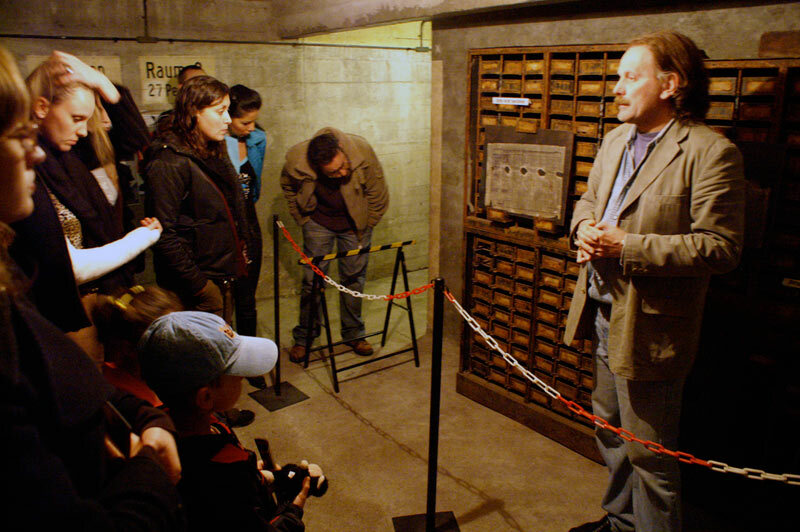 Berghain (berghain.de) is the most famous of Berlin’s nightclubs, but your options are endless. 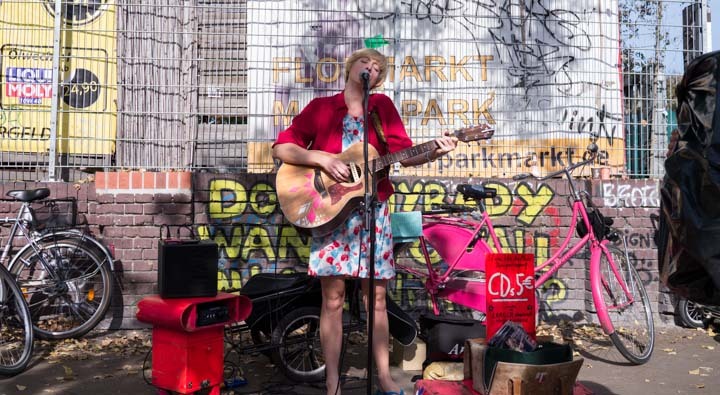 For a more eclectic mix, our regional manager Michel recommends Renate (renate.cc), a slightly shabby bohemian apartment building in Friedrichshain where entrance costs between € 5-10. Guided tours of the abandoned amusement park at Spreepark offer another view of the city. Bring your camera with and watch out for the zombies that surely live in the abandoned rides. * Tours €15 per person (berliner-spreepark.de). 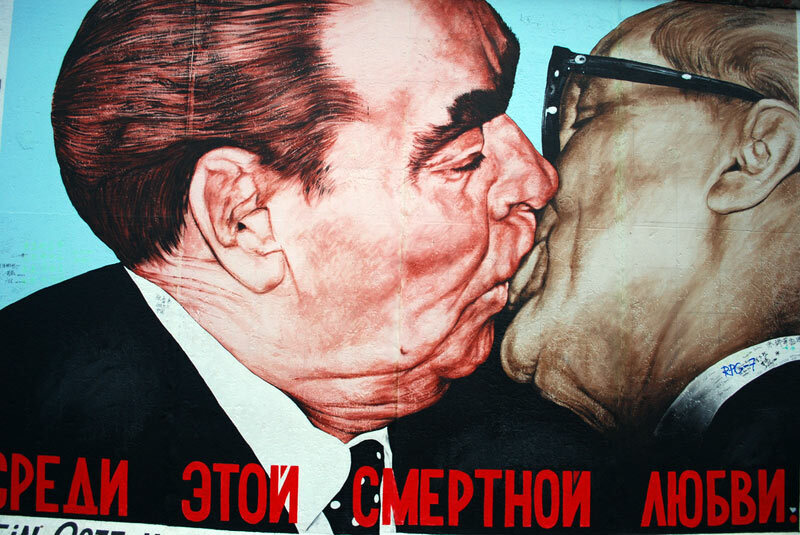 The grey, imposing Berlin Wall has been reclaimed by local artists and turned into a colourful monument to freedom. Rent a bike for €10 per day and pedal along the EastSideGallery (eastsidegallery-berlin.de). If you head outside of the city centre, there are over 3,000 lakes around Brandenburg to enjoy when the sun is shining. You can take to the water on a canoe for around €20 per canoe per day. 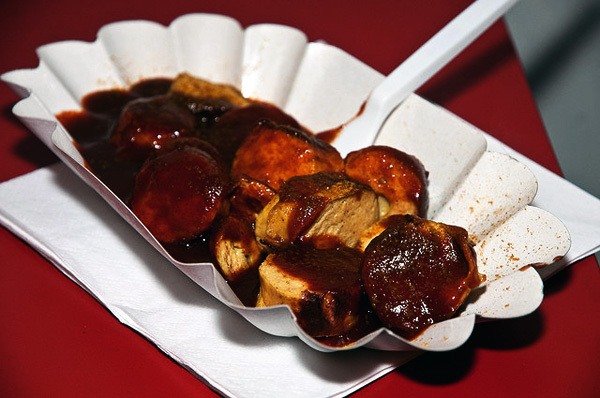 Your first experience with the currywurst may be a waft of its delicate fragrance in a biergarten on a warm evening. Or perhaps a stolen glance as you walk past a table of locals with white, rectangular plates of sliced sausage coated in mysterious reddish brown sauce and a fine golden dust. Give in to the currywurst and enjoy the heavenly combination of curry and wurst… you know you want to. Berliners consume it in great quantities. The last twenty years have seen Berlin truly fall in love with ice cream (Eis). Each year when the sun starts shining, ice cream stalls pop up like the buds of spring, vibrant in their colours, flavours and diversity. 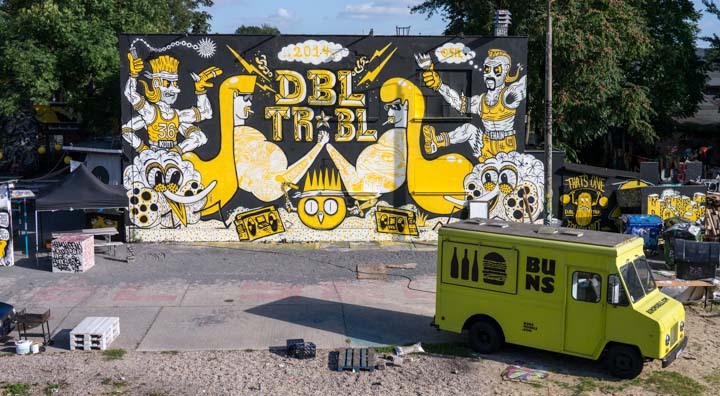 That’s not 10 but 12 things to do in and around Berlin for less than €20. In such a young and exciting city, you are bound to find more to do. You can share your Berlin stories in the comments. *no zombies have ever been spotted at Spreepark, but they must be there somewhere, mustn’t they? With thanks to Berlin residents Michel Jenal and Max Hammond.